The Slice Table is a dining table with a classic and still attractive appearance and with a simple, reduced shape. The big, long boards form the table top. The slim gaps between the wooden planks offer the unique, slightly rustic character to the Slice Table. The typically Scandinavian withdrawing design is responsible for the massive and at the same time contemporary, modern look. The Danish manufacturer Normann Copenhagen confronts us with the natural appearance of untreated oak wood. The natural stringiness of the table is still visible and it offers vitality to the table. 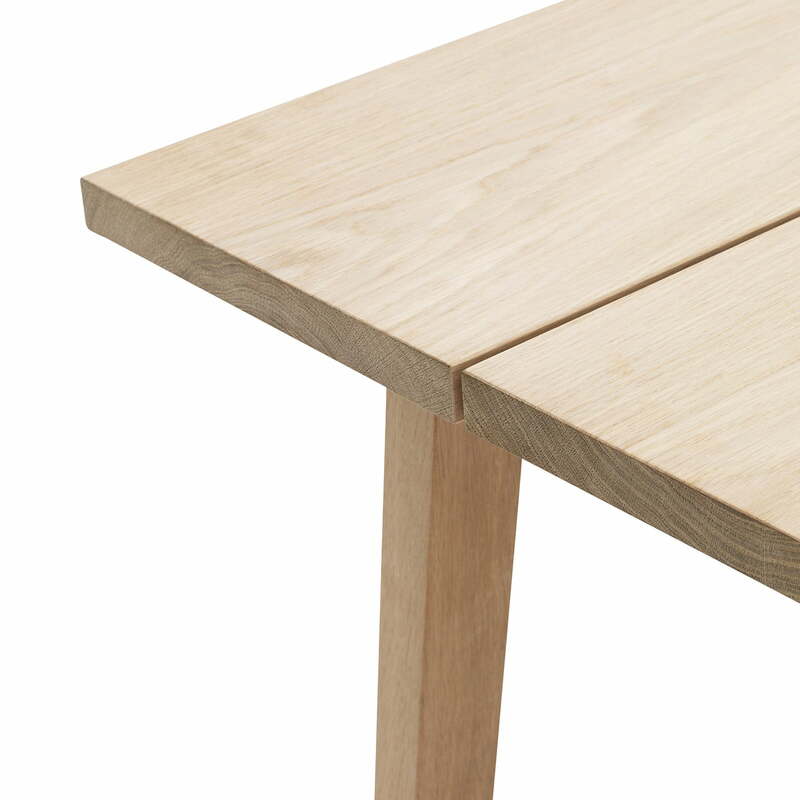 The hardness and the resistance of the oak wood makes this material perfect for a dining table. Whether in the kitchen or in the living room, as a bigger alternative for the writing desk in the office or even in restaurants – the Slice Table is versatile and it has a big surface for all kinds of purposes. The wood and the more rustic appearance furthermore ensure a natural, warm room feeling. Small but fine details are responsible for the design of the Slice Table, which is aesthetic and harmonious at first sight. The diagonal pole which holds the legs is seamlessly and nearly invisibly placed under the table top. 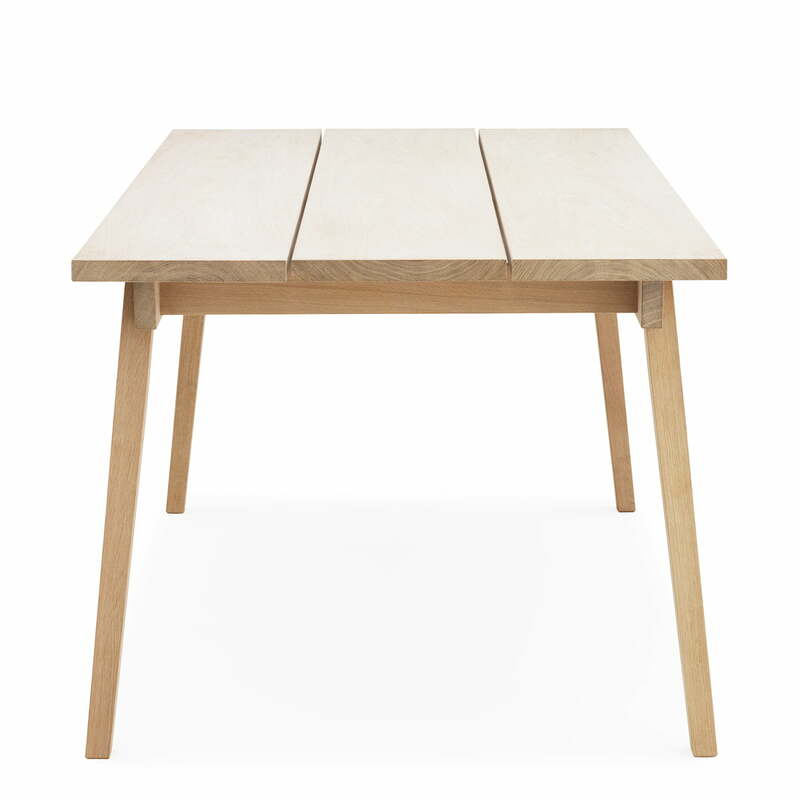 The Slice Table is available in three sizes and it is therewith perfectly suitable for homes with enough space. 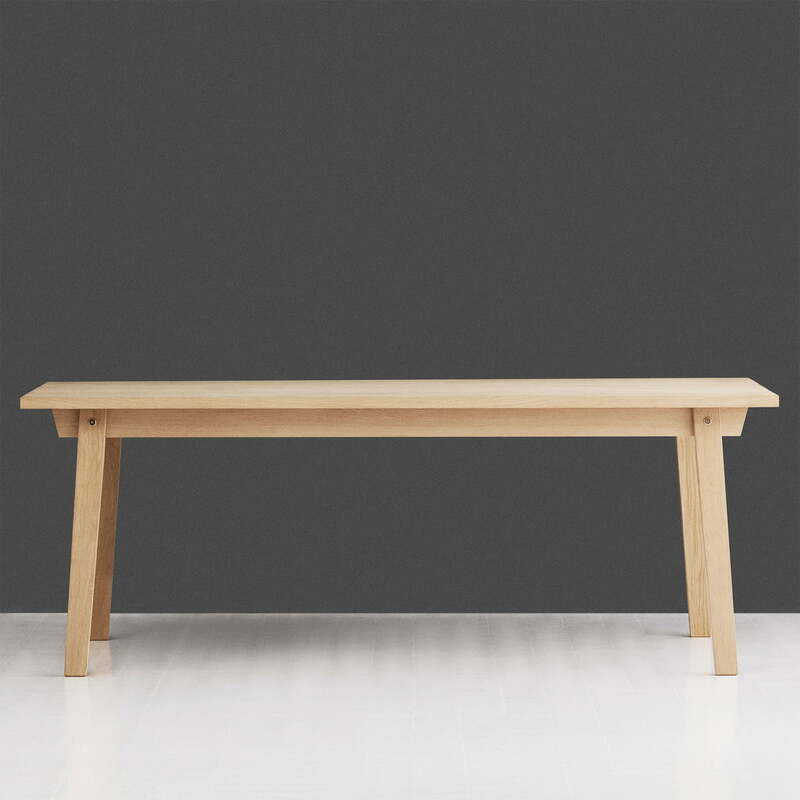 Individual product image of the Slice Table Wood with a table top made of soaped oak in the size 90 x 250 cm by Normann Copenhagen with legst made of oak. Individual product image of the Slice Table Wood by Normann Copenhagen in oak. 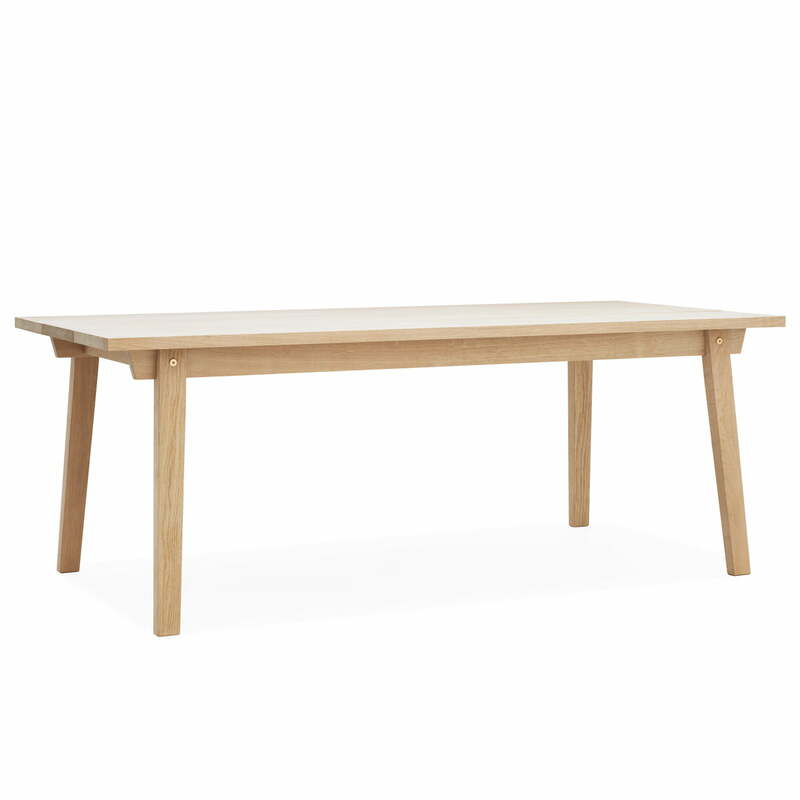 The Slice table by Normann Copenhagen is a beautiful table in a classic, Scandinavian look made of oak. 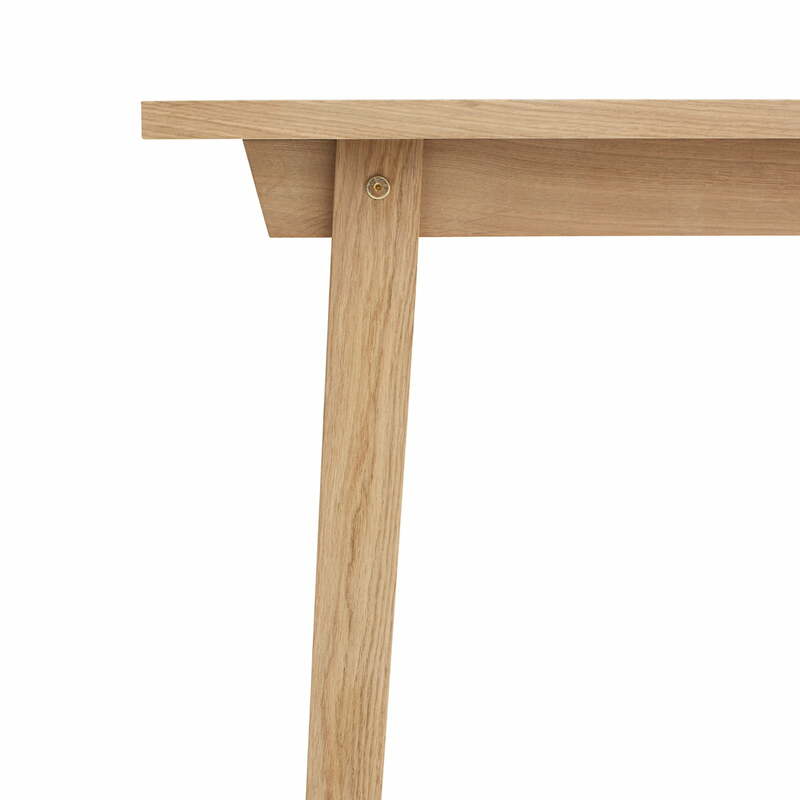 Side view of the Slice Table Wood by Normann Copenhagen in oak. Slice is particularly attractive for design lovers, who love the natural look of untreated wood. 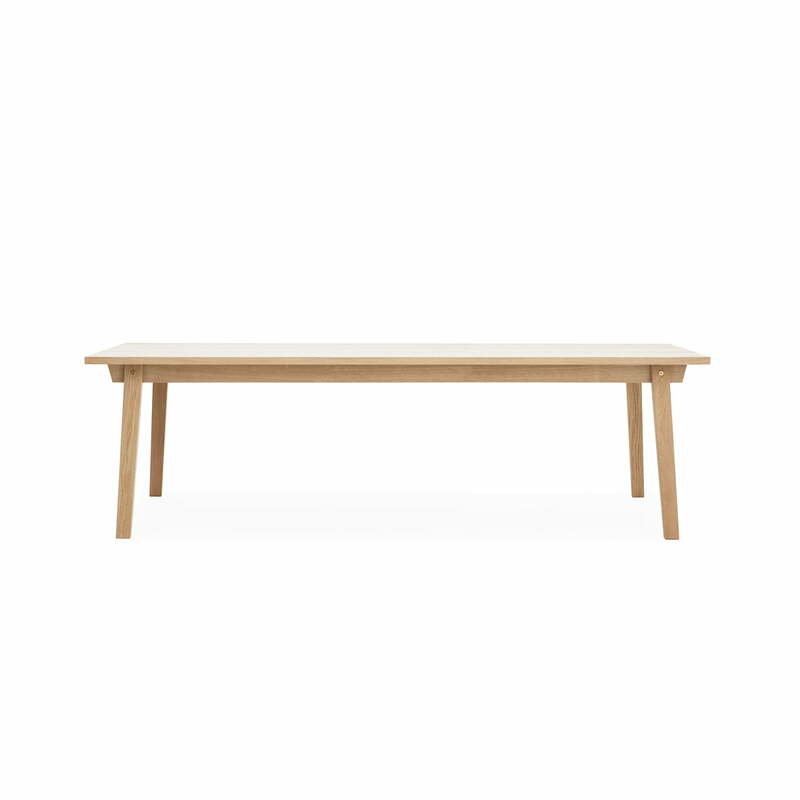 The Slice Table Wood by the manufacturer Normann Copenhagen in oak is available with different table tops in the sizes 90 x 200 cm, 90 x 250 cm and 90 x 300 cm. The natural wooden grain of the Slice Table Wood is a striking element of the rustic table top, which point out the grain of every single plank, bringing the Nordic design to life. 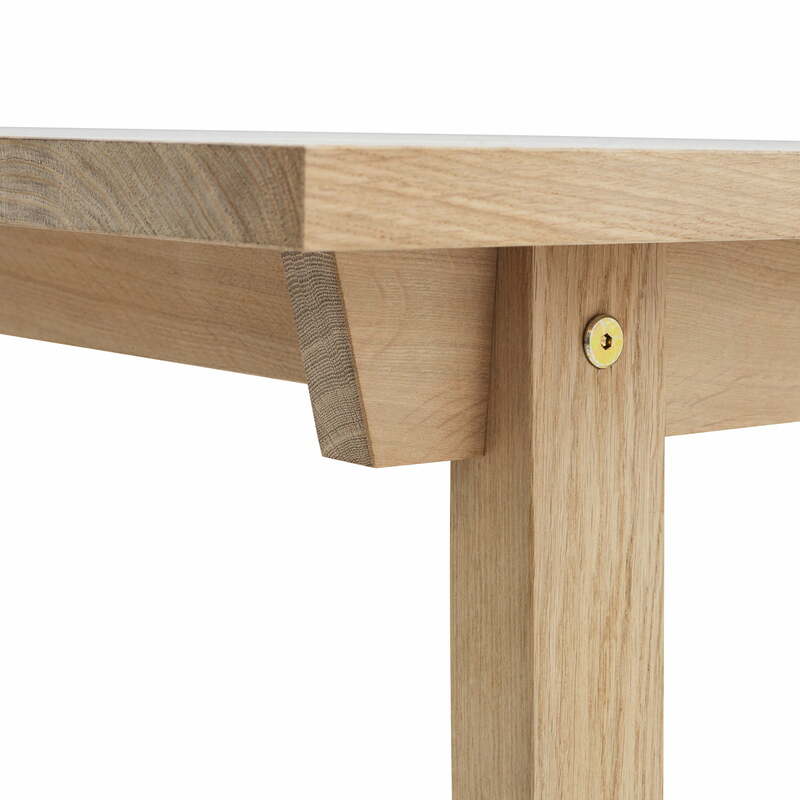 The hard and resistant oak wood is perfectly well suited as material for the table. 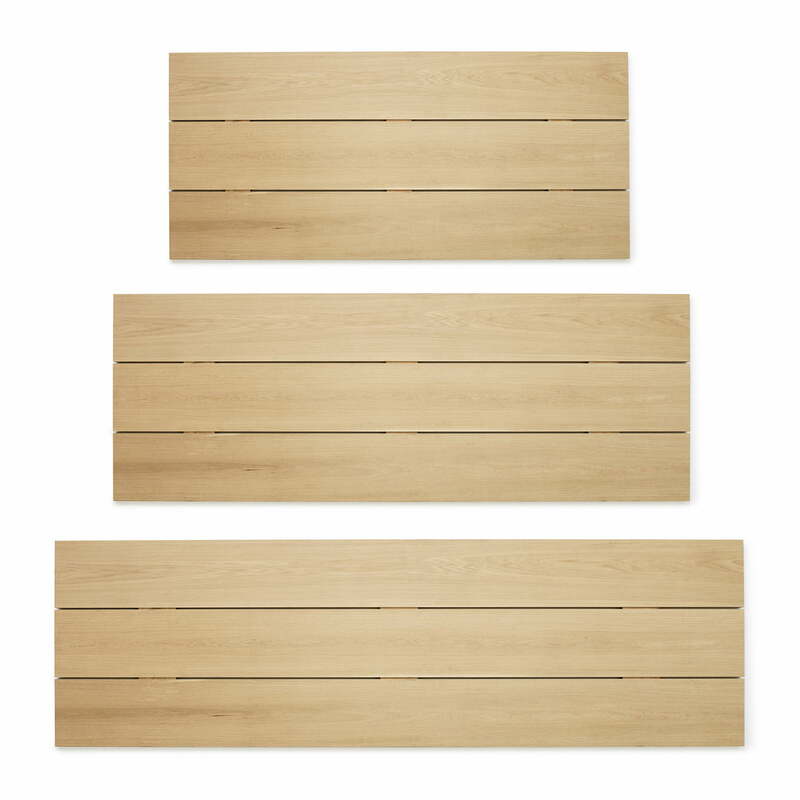 The table top of the Slice Table consists of three long and wide planks. 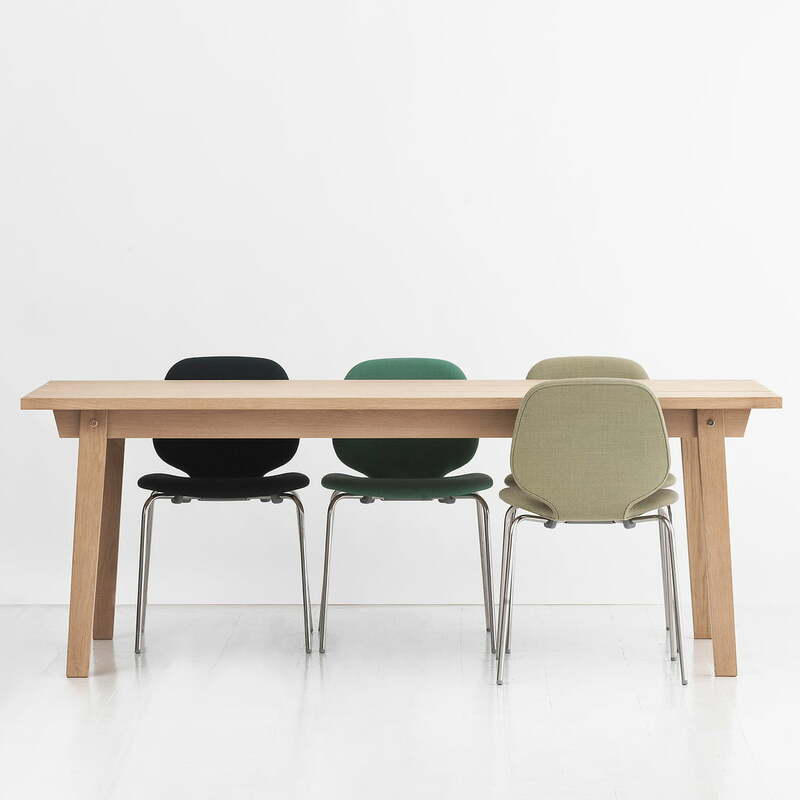 The Slice table by Hans Toft for Normann Copenhagen made of oak is available in three different lengths, cutting an absolutely fine figure in spacious rooms. 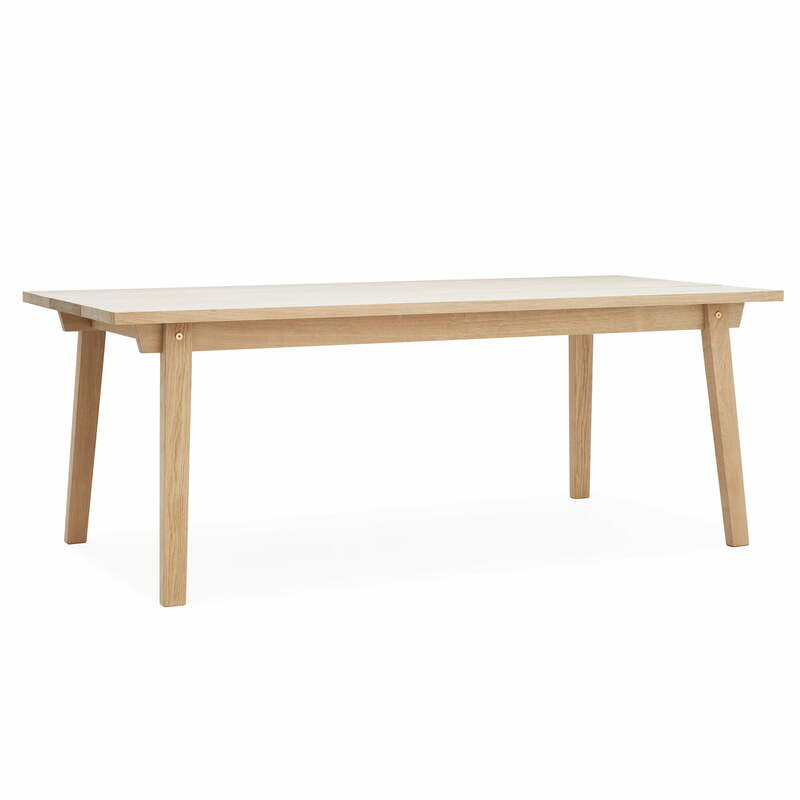 The Slice table by Normann Copenhagen is a beautiful table in the classic Scandinavian look made of oak wood. Slice is particularly attractive for design lovers, who love the natural look of untreated wood. Slice is perfect as dining table in the kitchen or in the living room and even a generously sized alternatie to the desk in the office or in a restaurant.